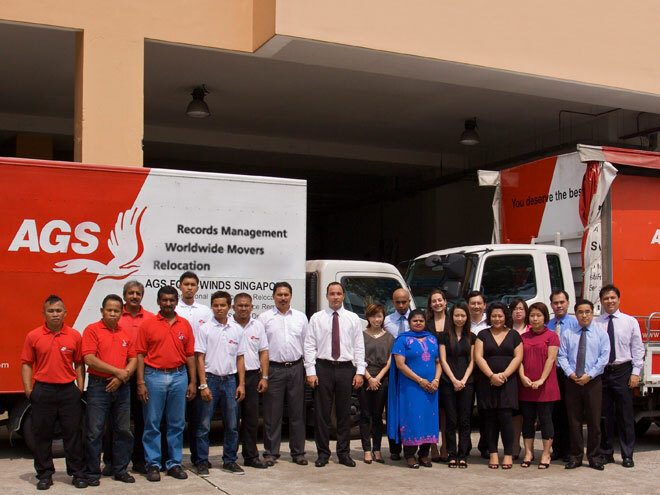 Not only has AGS Movers Singapore passed its most recent FAIM audit with flying colours, the branch also scored the highest of all the AGS branches evaluated by FIDI auditors in 2010. The branch, which has been managed by Yannick Lothou since 2005, received its first FAIM-accreditation only a year later. 2010 was their second FIDI audit. As part of the audit, AGS Movers Singapore was rated on 16 parameters covering the areas of Business Competence, Resources, Service, and Quality and Environment. In almost all areas, the branch was 100% compliant, earning them the overall Company Programme Score of 98%. FIDI, the Federation of International Movers, introduced the FAIM-accreditation to ensure that their members abide by their objective, pragmatic and professional criteria. The accreditation programme has regular audits performed by an external independent auditor, Ernst and Young. The AGS Group has 27 FAIM accredited subsidiaries – more than any other international removals company in the world. Earlier this year, the AGS Group was recognised by FIDI for its outstanding promotion of knowledge in the international moving industry, and was awarded the prestigious Golden Supporter FIDI Academy Award. The award recognises the work that companies do to promote industry knowledge amongst their employees. The Group congratulates Yannick and his team on their success.